Looking for a beautifully built mobile app? Then look no further. 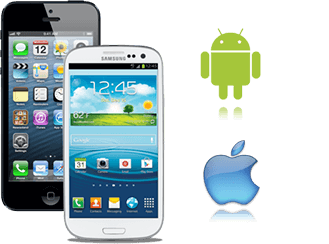 We take pride in building amazing android and iPhone mobile apps for our clients and users love to use. We make amazing ideas come to life with perfectly formed code and excellent design. For all aspects of the development process we apply an iterative process allowing for a more flexible and efficient workflow. We develop for range of platforms (iOS, Android and web) but build the app native for each of them to ensure the best user experience on each platform. We have a team of passionate in-house developers who are specialized in mobile development for all the different platforms. We practice differentiated development in order to maximize the experience for devices with higher OS versions or higher capacity. Most apps consist of a mobile part and a backend which we either build directly on top of our easy to use free CMS Nodescamp or integrated onto already existing frameworks or APIs. WRITE TO US & LET US CALL YOU? Please fill in the below details!